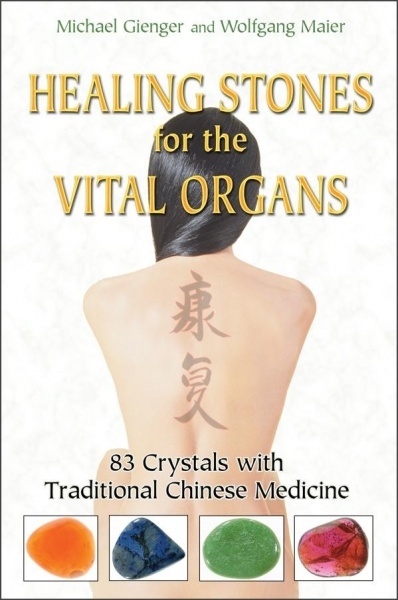 This book explains how to use gems and crystals to tune the body's circadian rhythm or “organ clock.” It shows how to select the right stones, the time of day they should be used, and how long treatment should last. One of the chief tools in the traditional Chinese doctor’s toolbox is an understanding of the circadian rhythms that govern all the organ systems of the body. In addition to facilitating early and accurate diagnosis, this “organ clock” lets the practitioner apply therapies to the organ’s meridians when they are at their peak functioning point, thereby eliciting the greatest benefit. In this book authors Michael Gienger and Wolfgang Maier have created a simple, yet highly effective self-care treatment system for addressing common health ailments using gemstones and the organ clock. They detail the healing benefits of 83 crystals, indicating the physical as well as emotional, psychic, and spiritual aspects they support in each of 12 major organ systems. For example, the stomach not only receives nourishment for the body, it also fosters the ability to engage in new things in life. Agate and calcite assist this function by giving confidence for new experiences, while aiding in digestion (and processing hard to digest thoughts). Treatments for the stomach should be done between 7:00 and 9:00 a.m., the time we typically take in new nourishment after a night of sleep, to receive maximum results. With each body system in turn, the authors explain how to select the stones best suited to address your current health concerns, the times of day they should be used, and how long treatment should last in order to restore optimum health and prevent the onset of future illness.